I’ve been fortunate enough to be travelling my whole life. At only a few months old I was whisked away to France on my first holiday ‘abroad’, then soon after the likes of Spain and Tunisia. At the age of five my family and I flew to New York on Boxing Day. My dad was studying his degree in American history at the time and finished his research there. It was the first time I was really able to appreciate the opportunities my parents were able to give me for constantly seeing new places, both at home in the UK, and abroad. It was also when I got my first camera, and things have progressed quite a lot since then! Since then I’ve tried to fit in as many places around the world as possible, all alongside my education and now, full time job as an adult. I’m by no means a ‘full time traveller’ but each day I’ll be thinking about where my next adventure will take me. Whether that’s exploring my own city, or further afield. There’s always something out there waiting to be explored. What once seemed impossible, and destined for a life of grow up, get an education, get a job, work and buy a house; all changed when travel became more attainable. But why does that mean you can’t do both? The older I’ve gotten, the more I found myself dreaming about the next destination. We come from a generation of dreamers and adventures. What once seemed impossible, and destined for a life of grow up, get an education, get a job, work and buy a house; all changed when travel became more attainable. But why does that mean you can’t do both? The world is more accessible than ever, with affordable flights and options on a budget, it’s easier than ever to get out there and see the world. So what are you waiting for? 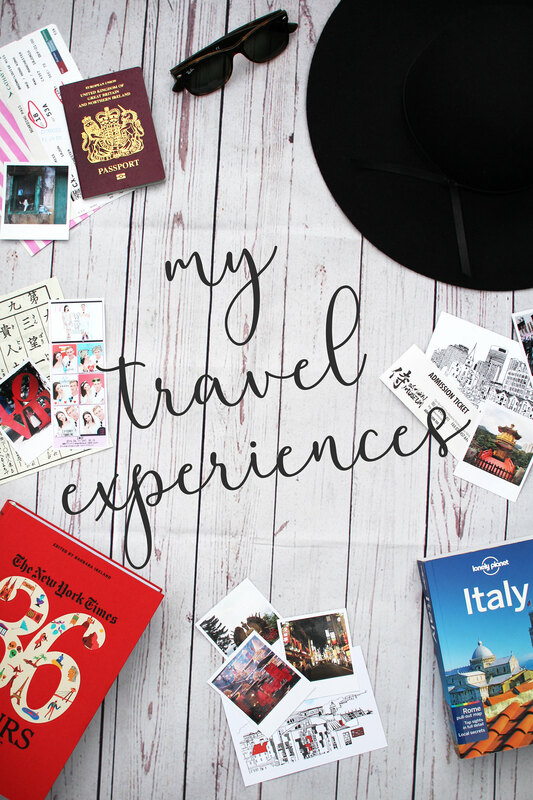 Here’s my top ten list of travel experiences and learning’s I’ve found along the way. I cannot stress this one enough. You never know what’s going to happen to you, and even if you think you’re going to be careful, it doesn’t account for others. When I was nine years old we were in Arizona and hit by a drunk driver. Our car was so badly crushed that the fire brigade had to saw it in half to pull us out, and my dad was left wondering if either my mum or me were alive. My mum’s injuries were so severe she was cut open at the roadside to get a tube into her lungs to allow her to breathe. The cost of insurance is nothing compared to medical bills, don’t do it. I’m such an organised obsessed person; I find it difficult to live any day unplanned. From mundane tasks at home, to which places I’m going to be planning on travelling to. Especially when you’re somewhere you’re not familiar with it’s easy for things to go unplanned. This isn’t necessarily a bad thing, make the best of your situation and learn from it. Sometimes the unexpected experiences turn out to be our best ones. There’s nothing quite like first stepping off the plane and onto a new place. Be more curious, walk where your feet want to take you, and always explore the paths less travelled. Ask questions, and you never know what you can end up opening your eyes to. One of the best things about travelling is meeting new people. Whether you’re travelling alone, or with another person, or even a group – there will always be new people to meet. We had landed in Hong Kong less than seven hours earlier, and before we knew it we were on a tram party going through the city for a joint hen and stag do of people we had never met. It was one of the most surreal moments of my life, and I loved it. It’s easy to be insular to other cultures until you experience them yourself. Remember that everyone is different, and no matter if you don’t agree with their beliefs – they still deserve respect. Walking through the streets of Tokyo we came across a Buddhist monastery, I stopped to take a photograph and before we knew it a monk appeared at the door. Despite the language barriers, he ushered us inside and we were given some green tea and shown around the temple. Before we knew it we were being blessed by their elders and showed how to chant. It was a really special moment and definitely not something I’ll be forgetting any time soon! I had previously been really worried about the kinds of things I’d be able to eat in Asia. Allowing myself to try new things and just go with it meant I found I actually really enjoyed some foods I never thought I’d even consider. It’s all about stepping out of your comfort zone and trying new things. 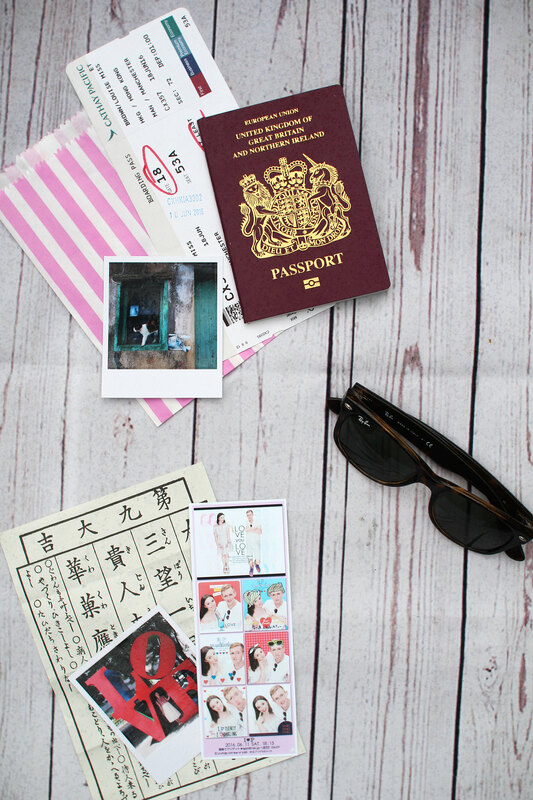 When you’re travelling it’s easy to forget about all the things we take for granted back at home. From a good cup of tea, to your own bed, and a hug with your mum; it’s easy to forget how much these little things actually mean to us when we’re away. Coming off a 13-hour flight recently I got talking to a guy in the queue for immigration to enter back into the UK. Hearing an accent so familiar to home brought back a flood of feelings of all the things I had missed, even in just a month. He told me he had been travelling and working abroad for two years and this was him returning home for the first time. We had never met before this moment, but the excitement of him being home and telling me he couldn’t wait to see his family and have a full cooked English breakfast made me feel oddly proud to be British. I made it through passport control before him and entered the arrivals terminal to find his entire family waiting there, on the verge of tears, holding up a huge banner for him with photographs on. I passed them and turned to watch as he walked through with a huge smile on his face and his mum burst into tears. It was the most touching moment, from a stranger I had met only moments ago. I still have tears welling writing this today! It’s so easy for things not go to plan, and a big part of that is patience. From delayed flights, to missed flight connections, don’t let yourself get wrapped up in the chaos. Buckle up, get on with it, and push forwards. You’ll get there. Over Christmas it took me 11 hours to get from Edinburgh to London. A flight which should only take 1.5 hours, after many hours of delays later I missed my connecting flight to America and was told I could be left waiting for a flight for up to three days due to the mass amount of people travelling for Christmas. We met a couple in the airport that were in the same situation, and we all got a hotel for the night and went out for dinner. We would have never met otherwise and we have since kept in touch and shared holiday stories... When we finally got there! The last thing you want to happen after planning and dreaming about your next adventure is to have something go wrong. Make sure you read about local customs and dos and don’ts of the country you’re visiting. Remember to be respectful, and if you’re visiting religious sites to take appropriate clothing. 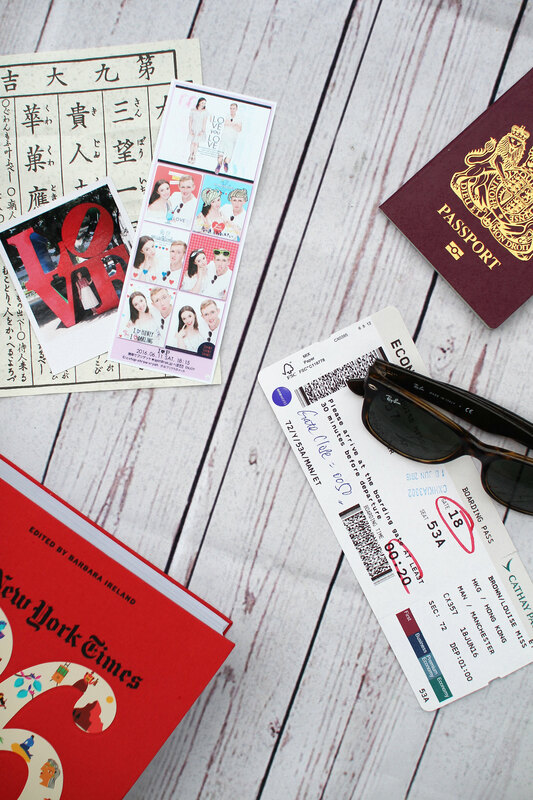 Ensure that you’ve filled in any forms and visas required for entering your destination, and always have an emergency back up in place for anything going wrong. Most of all - just enjoy yourself! Things do go wrong, but they can also go better than expected. Don’t let yourself get frustrated if things don’t go to plan, these things often have a way of working themselves out for the better. Book that flight, say yes to new opportunities, and go for it. What’s on your list of travel tips and experiences?